Sounds like a good Saturday night, right? But just a few weeks into 2016 and battle lines are already being drawn – it’s clear that the advertising of alcohol and HFSS foods (High in Fat, Salt or Sugar) are going to be two of the key regulatory issues this year, particularly on TV. Ahead of any future changes, it’s worth taking a moment to see what the big rules currently are for these two categories. For both alcohol and HFSS products there’s no set watershed. Instead, the scheduling of these ads is worked out based on the likely appeal of a programme. Broadcasters keep a close watch on audience demographics, so if a programme has a high proportion of a particular age group in its viewership, alcohol and HFSS ads won’t be placed in those spots; for alcohol it’s 18, for HFSS products it’s 16. The audience breakdown for long-running programmes, like The Simpsons, can fluctuate over months and years; just because a product used to be allowed to advertise around a particular programme is no guarantee that will carry on indefinitely. Brands often want to appear modern and cutting edge. This is fine of course, but both categories have rules about youth appeal. It’s more strict in alcohol advertising, unsurprisingly: ads must not reflect or be associated with youth culture, and this goes beyond the general treatment. For example, no-one under the age of 25, or appearing to be under the age of 25, may appear in an alcohol ad in any significant role. The soundtrack should be selected with consideration given to the age of the artist’s fanbase. Even choice of celebrity is scrutinised – Haig Club whisky recently used David Beckham, a choice investigated by the Advertising Standards Authority (ASA); they ruled that he was an acceptable choice and had more broad appeal. Due care must also be given to any celebrities featured in ads for HFSS products – celebs popular with children (including licensed cartoon characters) aren’t allowed in ads targeted at pre- and primary school children. Advertisers are allowed to use their own created characters, such as Coco the Monkey. Neither immoderate drinking nor excessive food consumption can be encouraged in ads. This goes further than simply showing someone necking a few cans; references to hangovers are a no-go for example, as they imply immoderate drinking the night before. Although someone can buy a round in a pub, there can be no suggestion of repeat rounds. Promotional offers in food ads, or collection-based promos, mustn’t encourage excessive purchasing of a product, let alone consumption. In all ads, not just in the food category, there must be no encouragement for children to pester parents. Some of the most important rules for alcohol ads focus around what’s not said. Alcohol mustn’t be linked with toughness, daring, sexual success or the success of a social occasion. This can be quite subjective; it’s not always enough to separate any daring behaviour from the act of drinking, as ruled by the ASA on the surfing in this Jaegermeister ad. However, a touch of humour or surreality can sometimes alleviate concerns – bungee jumping in an ad for cider was felt to be within the rules. These are just a few highlights from the Broadcast Committee of Advertising Practice code – check sections 13 and 19 for the full set of category-specific rules. 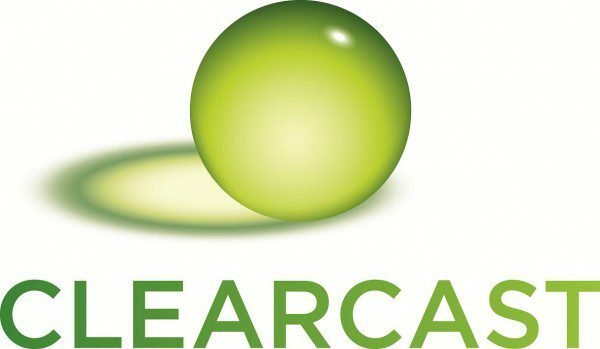 Clearcast pre-clears all ads shown on the major UK broadcasters’ channels, and also runs training courses aimed right across the industry. You can keep up with the latest news on Twitter, at clearcast.co.uk or by returning to our news section.